With warmer weather and longer days on the horizon, now is the perfect time to get your yard in shape for summer. 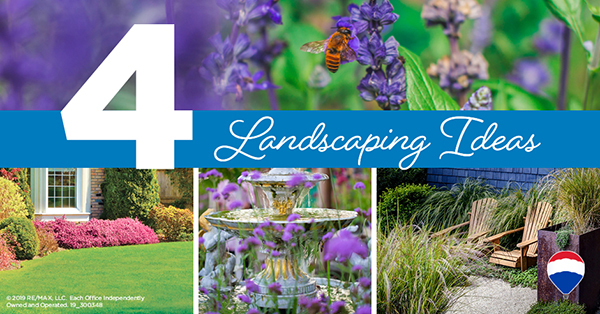 Keep these hot landscaping trends in mind as you get started. 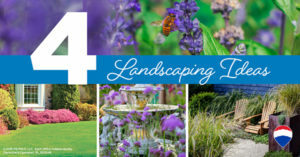 More sustainable landscape designs have become more popular over the past few years. Why? Two reasons – they’re better for the planet, and they can reduce maintenance and watering costs. With bee populations on the decline, people are actually starting to welcome them by planting native plants that provide the nectar for them to feast on. Efforts to save vital pollinators are another sign of consumers seeking more sustainable practices for their yards. The Danish concept of ‘hygge’ is about creating an atmosphere of coziness by embracing life’s simple pleasures. How do you implement hygge in your yard? Add features that promote mindfulness, such as water fountains or aromatic flowers, and arrange seating in a way that encourages conversation. Remember to include spaces that inspire play for kids and adults alike. Consider adding a bocce court, fireplace, hammock, or other features to help homeowners relax and play outdoors. Looking for a new home with space for a bocce court? Give us a call today!